actor John Brown was born in Yorkshire, England. 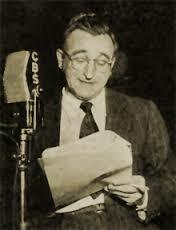 He had major roles in numerous popular US radio shows: He was “John Doe” in the Texaco Star Theater‘s version of Fred Allen‘s Allen’s Alley, played Irma’s love interest Al in My Friend Irma, Digby “Digger” O’Dell in The Life of Riley, (a role he reprised for the first incarnation of the television show), “Broadway” in The Damon Runyon Theatre, and “Thorny” the neighbor on the radio version of The Adventures of Ozzie and Harriet. On TV he was the second Harry Morton (neighbour) on the Burns & Allen sitcom. He suffered a fatal heart attack May 16 1957 and died too young at age 53. Also in 1904, the Berliner Gramophone Company of Canada was chartered. The company was run by Emile Berliner, the inventor of the gramophone. He set up a manufacturing facility for his talking machine in Montreal in 1897, and began making records there three years later. In 1906, actress Bea Benaderet was born in New York City. She became second banana on radio & TV versions of The George Burns/Gracie Allen Show, and on radio’s A Date with Judy, Great Gildersleeve, My Favorite Husband, Adventures of Ozzie & Harriet, Tommy Riggs & Betty Lou, and Maisie. She did many voices alongside Mel Blanc for Warner Brothers cartoons. But she is best remembered for her role as Kate in TV’s Petticoat Junction. She was still working on that show when she died from lung cancer Oct. 13 1968 at age 62. In 1914, singer/actress Frances Langford was born Frances Newbern in Lakeland Florida. Her fame began as the longtime vocalist (& skit player) on Bob Hope’s radio shows, her many USO tours with Hope, and her role as Blanche Bickerson opposite Don Ameche in The Bickersons, radio’s favorite battling couple. She died from congestive heart failure July 11 2005 at age 89. 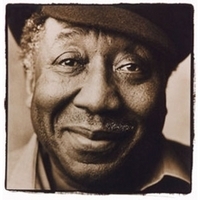 In 1915, blues legend Muddy Waters (below) was born McKinley Morganfield in rural Mississippi. Was given his nickname as a child because he loved to play in the mud. His 1948 hit “I Can’t Be Satisfied” helped bring the amplified guitar to the fore in blues music. In 2004 he was ranked #17 in Rolling Stone’s 100 Greatest Artists of All Time. His influence is almost indefinable, over a variety of music genres: blues, rhythm and blues, rock and roll, folk, jazz, and country. He died in his sleep Apr 30, 1983 at age 68. In 1916, actor David White was born in Denver. He is best remembered as Larry Tate on TV’s Bewitched, but also made repeat guest appearances in Have Gun Will Travel, Goodyear TV Playhouse, The Phil Silvers Show, Cannon, My Favorite Martian, Alfred Hitchcock Presents, plus a slew of one-shots. He suffered a fatal heart attack Nov. 27 1990 and died at age 74. In 1922, WAAB, Baton Rouge, Louisiana became the first station in the United States to have call letters that began with “W”. In 1928, newscaster Bill Ryan was born in Brooklyn. He was with NBC News in New York for 26 years, breaking the news & anchoring coverage of the assassinations of JFK & Martin Luther King. He died Feb 18 1997 at age 68. In 1932, actor Anthony Perkins was born in New York City. While most of his impact was from his big screen roles, especially Norman Bates in Psycho, he was very active in the live TV drama shows of the early 50’s. He died of AIDS-complicated-pneumonia Sept. 12 1992 at age 60. In 1938, after seven years of singing in the evening on the radio, Kate Smith began a new daily noontime quarter-hour talk show on CBS. 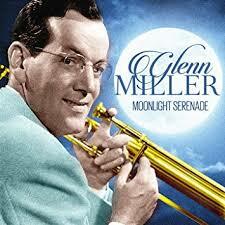 In 1939, Glenn Miller recorded his theme song, Moonlight Serenade, for Bluebird Records, the RCA Victor subsidiary. It was released as the B side of another instrumental, “Sunrise Serenade,” yet it became Billboard’s #5 pop hit for the year. Previously, the same Miller composition had been titled Gone with the Dawn and, before then, Now I Lay Me Down to Sleep. Also in 1951, Tony Bennett recorded his first big hit “Because of You” for Columbia records. It stayed a Billboard #1 pop single for ten weeks that year. In 1954, maestro Arturo Toscanini conducted his last concert with the NBC Symphony Orchestra at Carnegie Hall in New York City. Toscanini thus ended a 17-year association with the orchestra. In 1956, Elvis Presley played the first of two nights at the Arena in San Diego. The local police chief told the media that if Elvis ever came back to town and gave a similar performance, they would arrest him for disorderly conduct. In 1958, singer/organist Earl Grant recorded his only Top 40 hit “The End” for Decca Records. In 1959, Buddy Holly‘s recording of Paul Anka’s “It Doesn’t Matter Anymore” charted at #13 as his first posthumous hit single. Also in 1959, country singer Bill Anderson made his debut at the Grand Ole Opry. In 1960, Ottawa-born Paul Anka’s “Puppy Love” reached number two on the U-S pop singles chart. Also in 1960, the CBC-FM network opened, but only connected stations in Toronto, Montreal and Ottawa. The network, under that name, closed down in 1962. Still in 1960, Elvis Presley was in Nashville to record nine songs, of which two (“Are You Lonesome Tonight” and “Such a Night”) would become major hits. Again in 1960, eleven Academy Awards were presented to one movie at the 32nd Annual Academy Awards….Ben-Hur, the Best Picture of 1959. However, the Best Music/Song Oscar went to High Hopes (James Van Heusen-music, Sammy Cahn-lyrics) from A Hole in the Head. Also in 1963, The Hollies auditioned for E-M-I Records at Abbey Road studios. In 1964, the Beatles set an all-time record on the Top 100 chart of Billboard magazine. All five of the top songs were by the British rock group, a feat unlikely to be duplicated. The Beatles also had the number one album as “Meet the Beatles” continued to lead all others. The LP was the top album from February 15 through May 2, when it was replaced by The Beatles Second Album. It was estimated at the time that The Beatles accounted for 60 percent of the entire singles record business during the first three months of 1964. Also in 1964, a subsidiary of Capitol Records was awarded copyright and royalties on the Trashmen’s hit “Surfin’ Bird.” A court had ruled the song was copied from two earlier hits by the Rivingtons. 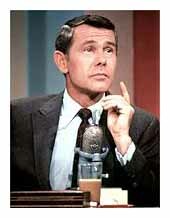 In 1967, Johnny Carson quit The Tonight Show in a salary dispute with NBC. He returned three weeks later with an additional $30,000 a week! Hi yo! Also in 1967, Paul McCartney advised Derek Taylor, producer of the upcoming Monterey Pop Festival, to book a sensational young guitar player he’d seen named Jimi Hendrix. In 1968, R&B star James Brown made a national TV appeal for calm following the assassination that day of the Rev. Martin Luther King Jr.
Also in 1968, Bobby Goldsboro was awarded a Gold Record for the single, “Honey.” The poignantly sad ballad charted for 13 weeks — spending five weeks at number one. 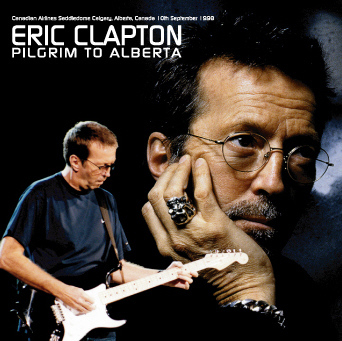 Still in 1968, in Edson Alberta radio station CJYR signed on with 10,000 watts at 970 KHz, as the first station in a network created by Yellowhead Broadcasting. Half a century later, after four ownership changes it is CFXE FM at 95.5 MHz, operated by Stingray, with a country music format. In 1970, rocker Janis Joplin took part in a reunion concert with Big Brother & the Holding Company at the Filmore West in San Francisco. Also in 1970, Crosby Stills Nash & Young went to No.1 on the Billboard album chart with Deja Vu. Still in 1970, Diana Ross made her first solo concert appearance, in Framingham, Massachusetts. 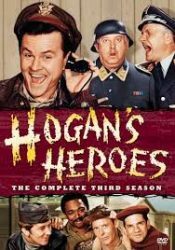 In 1971, after six years, the final episode of the WWII prison camp sitcom “Hogan’s Heroes” aired on CBS TV. In 1973, a taped Elvis Presley concert, “Elvis: Aloha From Hawaii,” was telecast on NBC. The total audience for the show, the first commercial worldwide satellite broadcast, was more than a billion people. In 1979, actor Edgar Buchanan, best known as Uncle Joe on TV’s Petticoat Junction, suffered a fatal stroke at age 76. 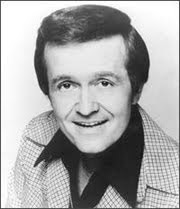 In 1980, country singer Red Sovine, famed for his truck driving songs and narrations, was killed in a single vehicle Nashville car crash at age 61. Sovine is best remembered for 1977’s “Teddy Bear,” a highly-sentimental tale of a crippled boy, his C-B radio and some friendly truckers. It gave Sovine his first million-seller at the age of 58. In 1983, the man who in 1944 started Greater Vancouver’s first new radio station since the depression, CKNW, Bill Rea died in Santa Barbara, California, at age 74. In 1984, Bob Bell retired as Bozo the Clown on WGN-TV in Chicago. Bell became an institution in the Windy City after taking on the role in 1960. Pinto Colvig was the original Bozo. In 1987, RCA Records officially became the Bertelsmann Music Group upon its takeover by the giant West German publishing, broadcasting and recording company. In 1989, Alabama‘s 8th consecutive #1 country album, “Southern Star,” was certified Gold. In 1990, Gloria Estefan left the hospital after being injured in a bus crash on March 20. Also in 1990, Toronto’s Alannah Myles had a Billboard hit with Black Velvet, topping out at #1 on the U.S. pop singles chart. In 1992, the soundtrack from the movie ‘Wayne’s World‘ started a two-week run at No.1 on the Billboard album chart. In 1994, singer & actress Virginia “Ginny” Simms, who sang on the radio on her own show and with the Kay Kyser Band, and made a number of hit recordings both with & without them, suffered a fatal heart attack at age 80. Ms. Simms hosted an early TV show on KTTV Los Angeles. In 1996, Jerry Garcia‘s widow and Grateful Dead guitarist & singer Bob Weir sprinkled a small portion of Garcia’s ashes into India’s holy Ganges River. The rest of Garcia’s ashes were released off San Francisco later that month. The Grateful Dead leader had died of a heart attack the previous August. Also in 1996, r & b singer Wilson Pickett was arrested for cocaine possession while on probation. He had only come to police attention after a screaming, bloodied woman was seen running from his house. In 2000, Diana Ross announced a Supremes “reunion” tour, even though the other two Supremes at the time, Scherrie Payne and Lynda Laurence, had never performed with Ross. The plans to tour were subsequently abandoned due to poor ticket sales. In 2002, heavy metal band Megadeth announced it was disbanding after 19 years. The decision was caused by serious injuries to founder Dave Mustaine’s left arm and hand leaving him unable to play the guitar. In 2003, 50 Cent became the best selling artist in the US so far this year when his latest album ‘Get Rich or Die Tryin’ sold more than four million copies in two months. 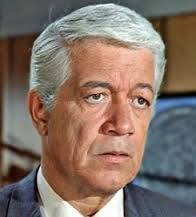 In 2004, actor & TV host Austin Willis died at age 86. The Halifax native hosted CBC-TV’s Cross Canada Hit Parade in the 50’s, and the humourous game show It’s the Law in the 70’s. He had feature roles in early TV’s Space Command, Seaway, Mannix, Mod Squad & the mini-series Kane & Abel. Also in 2004, Usher was at No.1 on the Billboard album chart with ‘Confessions’ the singer’s second chart topping album. In 2005, Kurt Cobain‘s Washington State hometown added a sign below their “Welcome to Aberdeen” that reads “Come As You Are.” The sign was up in time for the 11th anniversary of the Nirvana leader’s death the following day. In 2008, Procol Harum singer Gary Brooker won back full royalty rights to the band’s worldwide hit, ‘A Whiter Shade of Pale’, at London’s Court of Appeal. The decision overturned a 2006 ruling that organist Matthew Fisher was entitled to a 40% portion of royalties on the 1967 hit after he claimed to have written the song’s organ melody. In 2009, guitar legend Jeff Beck, Little Anthony and the Imperials, Bill Black, Wanda Jackson, D. J Fontana, Run-DMC and Metallica were inducted into the Rock and Roll Hall of Fame. In 2010, Bob Dylan was refused permission to give concerts in Beijing and Shanghai by China’s Ministry of Culture. Dylan’s involvement in the ‘60’s counterculture movement was reportedly the reason. In 2011, papers filed at the Los Angeles County Recorder’s office revealed that Ozzy and Sharon Osbourne owed over $1.7 million in back taxes. Ozzy’s wealth was estimated at well over $100 million. In 2012, The Eagles made their first concert appearance in South Africa. More than 60,000 fans took in the show at Cape Town Stadium. In 2013, the highly-regarded film critic, Roger Ebert, who with fellow Chicago newspaper columnist Gene Siskel pioneered weekly televised movie reviews on PBS and later syndicated TV, succumbed to thyroid cancer at age 70. In 2016, Doo-Wop singer Carlo Mastrangelo of Dion And The Belmonts, whose baritone & bass vocals undergirded the group’s harmonies on a string of 1950s/60s hits like “Teen Angel”, “I Wonder Why“, “No One Knows”, “A Teenager in Love”, and “Where Or When,” succumbed to cancer at age 78. In 2018, striking Oklahoma school teachers performed Twisted Sister’s “We’re Not Gonna Take It” as part of their demand for higher wages and an end to budget cuts. Actress Estelle Harris (Seinfeld, The Suite Life of Zack & Cody) is 91. Record producer/executive Clive Davis is 87. Actor Craig T. Nelson (Parenthood, The Division, Coach) is 75. Actress Christine Lahti (Jack & Bobby, The Blacklist, Hawaii Five-O, Chicago Hope) is 69. Singer Steve Gatlin of the Gatlin Brothers is 68. Actress Cherie Lunghi (Secret Diary of a Call Girl) is 67. Actress Mary-Margaret Humes (Dawson’s Creek, Eerie Indiana) is 65. Actress Julie Carmen (Falcon Crest, Condo) is 65. Actor Casey Biggs (Star Trek: Deep Space Nine, Legacy) is 64. Writer-producer David E. Kelley (Big Little Lies, The Crazy Ones, Monday Mornings, Harry’s Law, The Practice) is 63. Actress Constance Shulman (Orange is the New Black, The Faculty) is 61. Actor Phil Morris (Love That Girl, Seinfeld, Mission: Impossible-1988, The Secret Saturdays) is 60. Actress Lorraine Toussaint (Saving Grace, Any Day Now) is 59. Actor Hugo Weaving (Bordertown, After the Deluge) is 59. Bassist Craig Adams of The Cult is 57. UK TV host Graham Norton (The Graham Norton Show) is 56. Actor Anthony Clark (Yes Dear, Soul Man, Boston Common) is 55. Comedian/actor David Cross (Arrested Development, Colbert Report, Mr. Show) is 55. Actor/voicist Robbie Rist (Doc McStuffins, Naruto, Big John Little John) is 55. Actor Robert Downey Jr. (Ally McBeal, Mussolini: The Untold Story) is 54. Actress Nancy McKeon (The Division, Facts of Life) is 53. Campbell River BC-born actor Barry Pepper (The Kennedys, Madison) is 49. Country singer Clay Davidson is 48. Singer Josh Todd of Buckcherry is 48. Toronto-born actress Lisa Ray (Endgame) is 47. Singer/actress Jill Scott (Black Panther, No. 1 Ladies Detective Agency) is 47. Bassist Magnus Sveningsson of The Cardigans is 47. Singer Andre Dalyrimple of Soul for Real is 45. Actor Chris Conner (The People v. O.J. Simpson: American Crime) is 44. TV personality/actress Joyce Giraud (Real Housewives of Beverly Hills, Siberia, House of Payne) is 44. Actor James Roday (Psych, Miss Match) is 43. Montreal-born actor Matthew MacCaull (Hailey Dean Mystery: Deadly Estate, Stranger in The House, When Calls the Heart) is 41. Actress Natasha Lyonne (Orange is the New Black, Pee Wee’s Playhouse) is 40. Actress Collette Wolfe (You’re the Worst, Cougar Town, Fetching) is 39. Actor Benjamin Ciaramello (Friday Night Lights) is 38. Actress Amanda Righetti (The Mentalist) is 36. Actress Rachel Korine (The Knick) is 33. Toronto-born actress Sarah Gadon (Being Erica) is 32. Actress Jamie Lynn Spears (Zoey 101, All That) is 28. Actress/TV personality Jessica Serfaty (America’s Next Model) is 28. Actress Alexa Nikolas (Zoe 101, Hidden Hills) is 27. Vancouver-raised actress Daniela Bobadilla (The Middle, Anger Management) is 26.